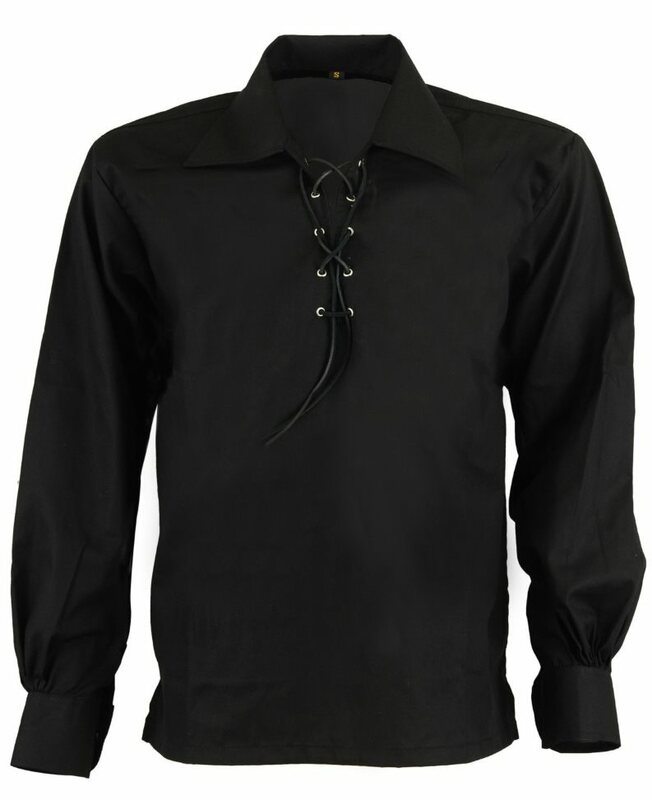 Black Ghillie Highland shirt, a perfect fit for a traditional look with your kilt or Breton or Cornish outfit. + Also known as Jacobite shirt, this ghillie highland shirt is ideal for a period look with your kilt outfit. + A perfect choice for those of Breton and Cornish heritage (Black is the national colour of Brittany and Cornwall).